The band is a four piece ensemble consisting of: Guitar / vocals (Ben Tucker); Lead Guitar (Carlos Gonzalez); Bass, (Merv “Fuzzy” Salole); and drums (Chris Lord / Charlie Murray). By day they’re a bunch of data-jockeys but at sunset transform into whisky obsessed garage animals overseen and guided by their ebullient manager extraordinaire (Richard "Rocker" Young). 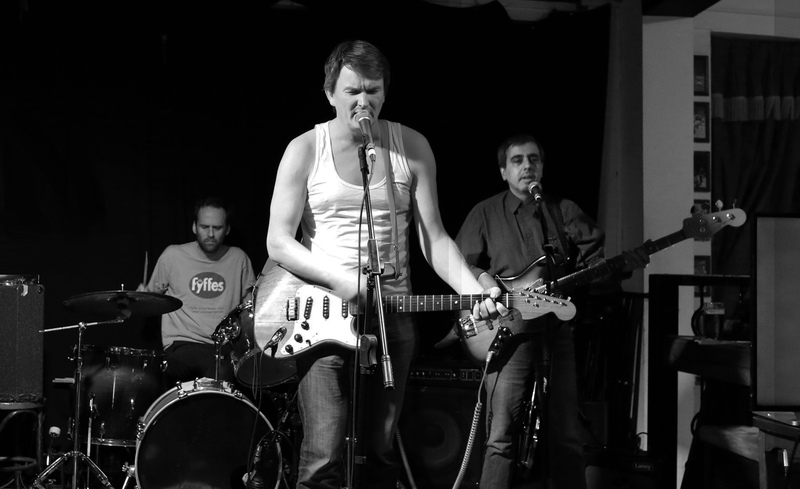 The origins of the band lie with founding member Ben Tucker who formed the band while at university and since their inception in 2005 when Albino where launched on to an unsuspecting populous, the band has undergone a musical metamorphosis, travelling a long way from their humble beginnings. During the course of this musical odyssey Albino’s eclectic and multi-talented musical line up has changed over the years, but their passion for live music, commitment and energy has always remained constant. This drive has seen the band deliver several well received albums and EPs in addition to regularly playing at venues and festivals across London and the UK and undertaking international tours.